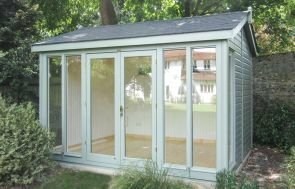 Garden Studios & Garden Offices | Delivery & Installation Incl. 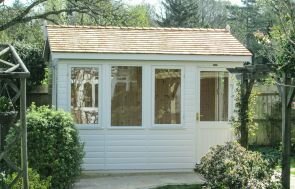 Whichever style you prefer, our range of Garden Studios are perfect for year-round use with an array of standard features included, such as double glazing, full insulation, and solid pine internal lining. 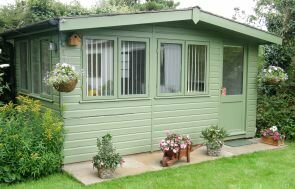 If you want a hobby room, a garden office, or a retreat to enjoy your garden from, we can help. 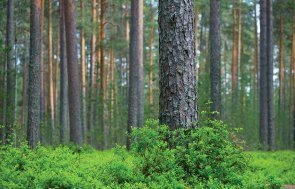 Each building is handmade to your specifications using the finest FSC® certified Northern Scandinavian Redwood – making your garden room ideal for all weathers, and is delivered and installed by in our in-house installation team. Why are we so proud of our garden studios? 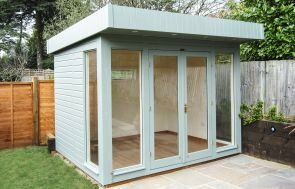 Our Studio range comes with full insulation, matchboard lining and double glazing as standard, which all helps to increase comfort and decrease noise levels, and allowing you to make full use of your Studio all through the year. 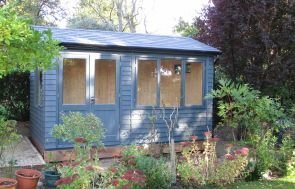 Depending on the type of Studio you choose, we offer different roof coverings, ranging from the standard heavy duty felt or living sedum on the Salthouse, to cedar shingles and slate effect tiles on the Burnham, Langham and Binham. 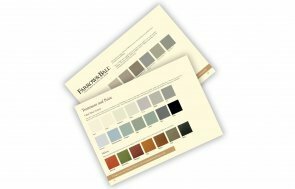 You can choose between our Valtti and Farrow & Ball paint ranges to help further enhance your Studio and complement your garden environment. We require our Studios to have a solid, level base to sit on. 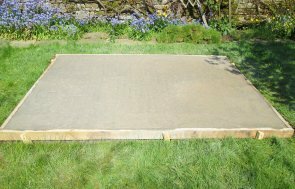 For a completely hassle-free experience, you can choose our in-house base laying service. 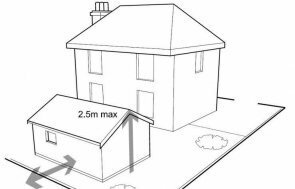 Use our online tool to design a Studio to your specifications. You can choose your window and door options, select your chosen roof covering and paint colour(s), as well as many other features. The Salthouse has been designed as a modern workspace with a pent roof and fully glazed windows, allowing maximum light inside. The Burnham brings together the modern light benefits of fully glazed walls and a more traditional style building with its apex roof and roof tile options. The Langham is a traditional building with an apex roof. Desk height windows make it ideal for office use or a hobby room throughout the year. Very much a traditional design, the Binham has an apex roof with the door in the gable end, and it is complemented with an attractive roof overhang. With over four million of us here in the UK now working from home, and half of us set to work remotely by 2020, it has become more important than ever to ensure that your home workplace is a happy and efficient one. 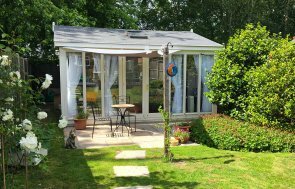 That’s why Crane Garden Buildings hand-craft contemporary Garden Studios that can be used as both a recreational retreat and a secluded corner for concentration, away from the hustle and bustle of your home. With styles ranging from ultra-modern to timelessly traditional, there is something to appeal to all tastes. If your profession requires an abundance of natural light, both our Salthouse and Burnham Garden Studios offer floor-to-ceiling windows and sleek expanses of glass, whereas our Binham and Langham Studios offer desk-height windows and the option of overhead Velux® windows for further light and ventilation. Powering your home-office is not a problem, with the option of our electrical pack and heater available with all Garden Studios. They include ceiling lights, four internal dual sockets, a gang light switch, external waterproof sockets and even a heater for the colder months, ensuring year-round use and reliability. This also means that your office can be used for a vast variety of things when you are not at work. You can turn it into a movie room for nights of family entertainment or even a music room for any instrument enthusiasts. If you wish to keep your work space separate but also want a place to relax, you can add a partition wall in your building and truly enjoy the best of both worlds. 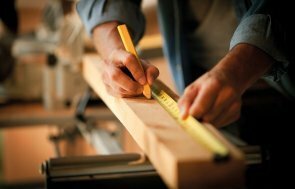 A variety of other options can ensure that your building is fully-optimised for office use, such as the further insulating and sound-absorbing qualities of our engineered flooring and the option to select painted lining in your building, so that it is a light, airy space readily equipped for use. 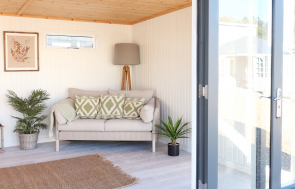 In order to take a look at our Garden Studios and identify which building is perfect for you, we recommend that you pay us a visit at your nearest show site, where our friendly team can advise you on everything from planning permission to how best to heat your garden building. Get in touch with us to plan your visit on 01760 444229.